Sweet Corn: Does It Have Nutritional Value? Summertime is just around the corner – and sweet #corn can be a wonderful treat and accent to any barbecue. And guess what – it does have nutritional value. Take a look. Value: It’s a whole grain, tastes great and has plenty of nutrients. Learn to enjoy the natural flavor of fresh corn without adding less healthy options like salt and butter. Nutrients: One medium ear contains about 2.8 grams of fiber and nearly 3.5 grams of protein. Corn is also a good source of vitamin C (more than 10 percent of recommended daily values). 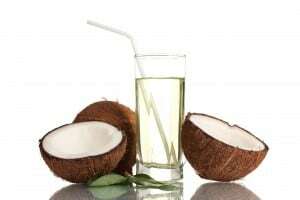 Additionally, it has thiamin (14.8 percent of recommended daily values), which helps to produce energy for the heart, muscles and nervous system; riboflavin; niacin (8.3 percent of recommended daily values), which helps with normal functioning of the nerves, skin and digestive system; pantothenic acid (9 percent of recommended daily values), which helps the body convert #food to energy; magnesium (8 percent of DV); and phosphorus (11 percent of DV). Finally, corn is rich in folic acid, and, “Folate-rich diets have been associated with decreased risk of cardiovascular disease by working in conjunction with vitamin B6 to reduce homocysteine, an amino acid that at high levels is a risk factor for artery blockage,” says Jo Ann S. Carson, a professor of #nutrition at the University of Texas Southwestern Medical Center in Dallas. Additionally, folic acid works along with vitamin B12 and vitamin C to help the body use protein, and it is involved in the production of red blood cells and DNA. Folic acid is also involved in normal tissue growth, which is why getting enough folic acid before and during pregnancy helps prevent certain birth defects, says Ruth Lowenberg, M.S., R.D., a spokesperson for the Fresh Supersweet Corn Council. Health Perks: With a moderate glycemic index of 56 (compared with 100 for white bread), corn provides us with carbohydrates for energy without excessively raising the sugar in our blood, says Carson. Also, the lutein and zeaxanthin it contains are phytochemicals thought to be helpful in reducing the development of macular degeneration in the eye. 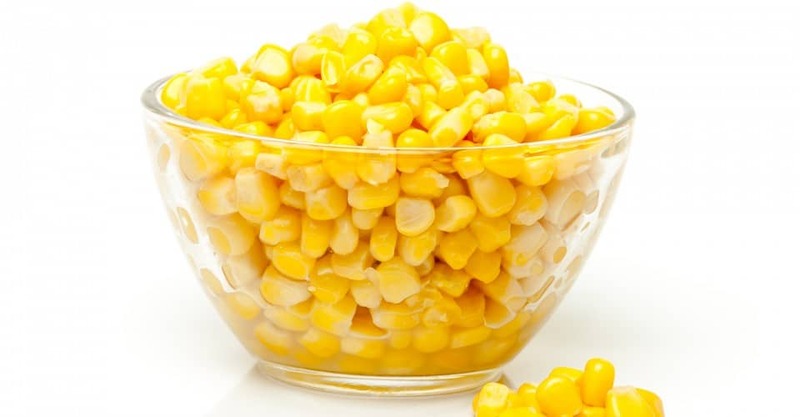 According to researchers at Cornell University, sweet corn cooked at high temperatures releases a phenolic compound called ferulic acid, which provides health benefits such as battling cancer. Nutrition Stats: 1 medium ear, (6 3/4″ to 7 1/2″ long, 103g). Calories 111, total fat 1.32g, total carbs 25.86g, total fiber 2.8g, total protein 3.421g. Also, “When buying tray-pack corn, look for plump, rounded kernels without shriveling. Pre-husked tray-pack corn may be tough, and it’s difficult to gauge quality inside the package. Avoid corn with flattened, tightly packed kernels; the corn will be starchy because it’s overgrown,” she adds. Color is a matter of choice, although white corn tends to be more tender. Supersweet corn varieties (often sold in tray packs) will be sugary but with less corn flavor than old-fashioned varieties. How to Store: “Store corn in its husk for up to four days, though it will be at its sweetest closest to when it’s been picked. Store husked ears in plastic for one to two days in the refrigerator,” says Green. Preheat oven to 500 degrees. Place ears in a roasting pan; brush with 1 tablespoon of the oil. Roast until corn is tender and some kernels begin to turn golden brown, 10 to 12 minutes, turning once; cool. With a sharp knife, cut kernels from ears (makes about 2 cups). In a large bowl, combine corn kernels, black beans, bell pepper, cilantro, lemon juice, hot pepper sauce, salt and the remaining 1 tablespoon oil. Serve chilled or at room temperature with grilled meat or fish, if desired.